In my early days as a yoga student, one of my first teachers said something that has always stuck with me. He said that as beginners, we come to yoga with legs and arms. Then, as we progress in our practice we no longer have just legs and arms, but we have an upper leg, a lower leg, an upper arm, and a lower arm. Then, as we progress further, we have an upper outer leg, an upper inner leg, an upper back leg, an upper front leg, and so on. As I have ventured on my yoga journey, I have found the above to be so true. I am often amazed by both the lack of awareness in certain areas of my body and the sudden awakening of awareness in others. How can this be? Take the feet, for example. I have stood on my feet for my whole life (minus a year or so 🙂 ) but, have I ever really experienced how my feet touch the floor? Before Iyengar Yoga, I’d say the closest I came to experiencing intelligence in my feet would be if I stubbed my toe. Then, as I began to learn Tadasana, all of a sudden I became aware of subtleties I never knew existed. A most common position – standing upright was all of a sudden ripe with nuance. Do I stand more on one leg than the other? Do I stand with more weight on the front of my foot than the back? Can I feel all 5 toe mounds? Why are some easier to feel than others? Does my inner heel press the floor? Is the nail bed centred on the toe? Does the outer edge of my foot drape down and cut the floor? What happens when I walk? Why do the outer heel side of my shoes always wear out first? I could no longer realize the perks of ‘ignorance is bliss’. The light bulb had been turned on and I felt compelled to adjust myself in a centred and balanced way. I found myself standing in line at the grocery store equalizing the weight between both legs. Waiting for the subway, I’d look at the alignment of my feet and ensure that my toes turned just slightly in and immediately I’d feel breadth (and release) across my sacrum. I could not believe how powerful such subtle adjustments could be! I had a tangible focus when I practiced, both in class and at home. Looking for areas of dullness or sharpness, comparing my right side with my left – these inquiries allowed me to find depth in my practice. Sometimes, when the chatter in my head was too loud, this pragmatic exploration of how I was responding to the shape of the asana was just what I needed to withdraw from outside stresses. The annamaya kosa is the anatomical sheath of nourishment. The pranamaya kosa is the physiological sheath. It includes respiratory and other systems of the body. The manomaya kosa is the mental sheath and it affects awareness, feeling, and motivation. The vijnanamaya kosa is the intellectual sheath and it affects the process of reasoning and judgment. The anandamaya kosa is ethereal. It’s a universal sheath, a spiritual sheath of joy. In Light on Life, BKS Iyengar likens the kosas to layers of an onion, or nesting Russian dolls. This has always resonated with me. 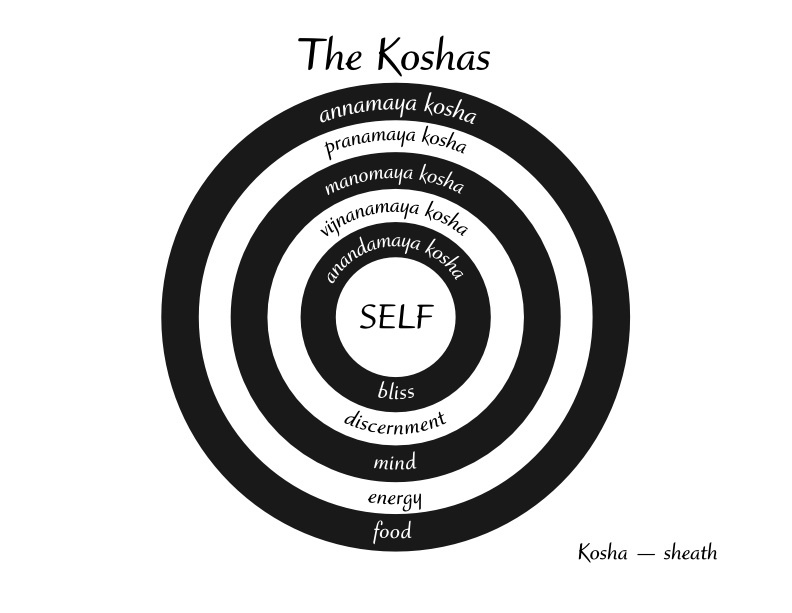 I think inherently, I have always known that there is a mind-body connection, but the concept of kosas allows me to explore that connection at my own pace, in a safe yet directed way. 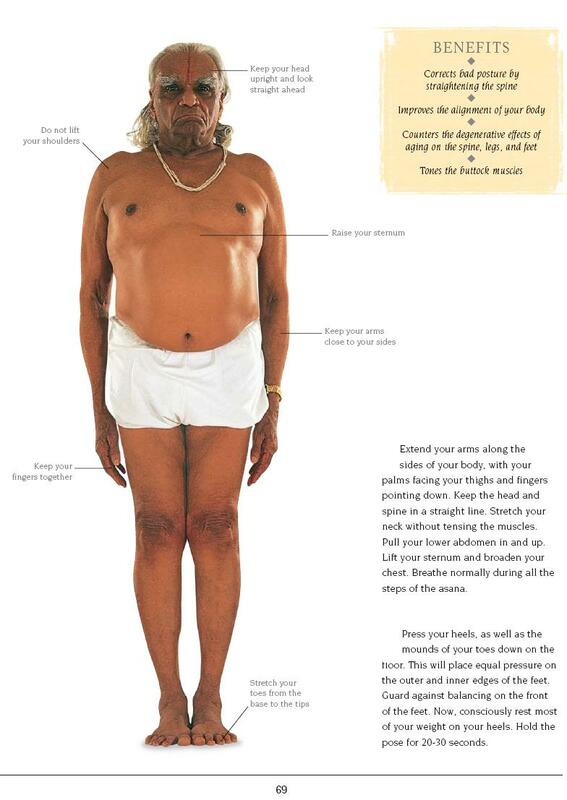 It has led me, in BKS Iyengar’s words, from the periphery of my being toward its core. Emphasizing alignment is often a cornerstone in Iyengar Yoga teaching. Sometimes though, I feel it gets misrepresented. My practice and my teaching changed markedly when I distinguished between alignment for the sake of alignment, and alignment for the sake of awareness. (Does that distinction make sense to you?) I think alignment is a means, not an end. It’s a tool to move you towards developing awareness, intelligence, and consciousness of the body (& beyond). Now, please don’t misunderstand me. I’m not suggesting that whomever practices yoga will evaporate into a puff of spiritual smoke. There is no set path or schedule when it comes to developing awareness. For some, yoga will target body awareness, for others body awareness and physiological awareness. For others, perhaps body awareness and mental awareness, and for others, maybe, spiritual awareness will play a role. The path is different for everyone. To me, that is part of what makes yoga so very special and ultimately, inviting to all sorts of people. At the risk of sounding repetitive, this is an excellent post! You always teach me something new and give me food for thought. This post really gives me big picture clarity and helps put things in perspective. Thanks, Stephanie. Lobe this post, tfs. Ive practiced on n off over the years, but from the beginning of the year ive made a commitment to begin every day with yoga. Wow! Already Im feeling such positive changes. That’s amazing! Good on you for making the commitment :). I’m always amazed by how much yoga can give. It’s such a rich practice.